I blame James Bond. Think ‘’casino’’ and you probably think glamourous, exciting – and very exclusive. A place only for the super-rich and the super-gorgeous, all white dinner jackets and low-cut gowns. From the outside the Palm Beach Casino, in its Mayfair setting and Art Deco styling, might make you think it’s only for the elite but step inside and you’ll find it’s more a casino for everyone, high-rollers and low-rollers, casino virgins and casino regulars. The Palm Beach is the only casino in the area which doesn’t require membership, so as long as you’re over 18, everyone is welcome. For that sharpener before playing, there’s more than one bar to choose from. 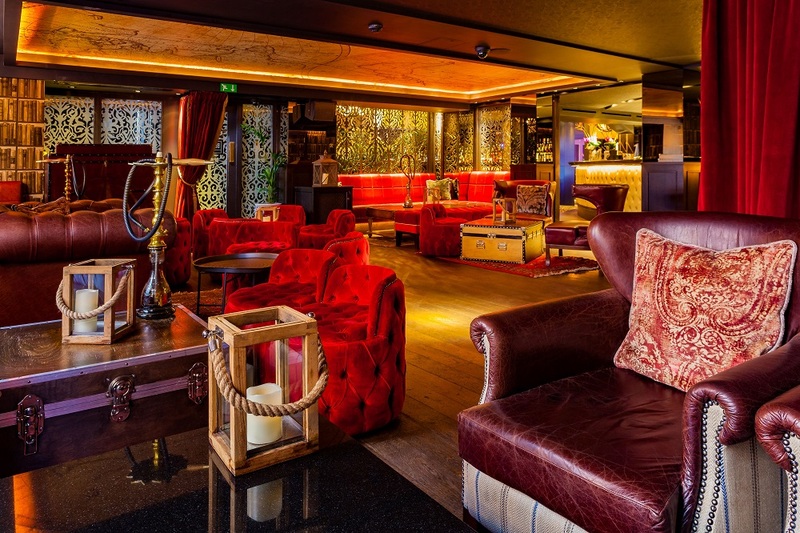 The Lounge Bar has the style of a study with its faux bookshelves, high-backed leather chairs and red velvet seats set around trunk-like tables. There’s a bar menu and extensive cocktail list to choose from, such as house signature Lapsang Light (made with tea-infused Tanqueray gin) and classics like a Martini and mojito. The Lounge Bar has a 24-hour licence, prices aren’t unreasonable by smart London standards and are even more attractive during the extensive Happy Hour(s!). And there’s music – DJs whip up a party vibe on Friday and Saturday nights. The alternative, the Bar & Grill, is set right next to the casino floor so you can get a real taste of the action before or after you play. And play you must. The croupiers are very friendly and are happy to show you what you need to know. They won’t make you feel a complete hick and they’ve seen it all over the years – big winners and big losers (often the same people on the same night…) The Palm Beach casino is the only one in Mayfair to offer ‘’learn to play’’ lessons so beginner or pro can enjoy the thrill of a wager or two. Minimum stakes vary according to game and time of day. Starting at £2 or £5 in the daytime, they are higher in the evening. As stated, membership isn’t a requirement but enrols you in the rewards programme (which should be called Casino Loyale…). It also means you can bet higher than the non-member limit of £ 1400. Joining is easy and only takes a couple of minutes if you have photo ID. Formerly the ballroom of the Mayfair Hotel, the casino features a large, smart gaming room with dedicated tables for poker, baccarat and other card games as well as American roulette. Blackjack (otherwise known as pontoon or Vingt-et-Un) is an easy way to start for the novice. There are some quite generous slot machines for those who prefer something more mechanical. 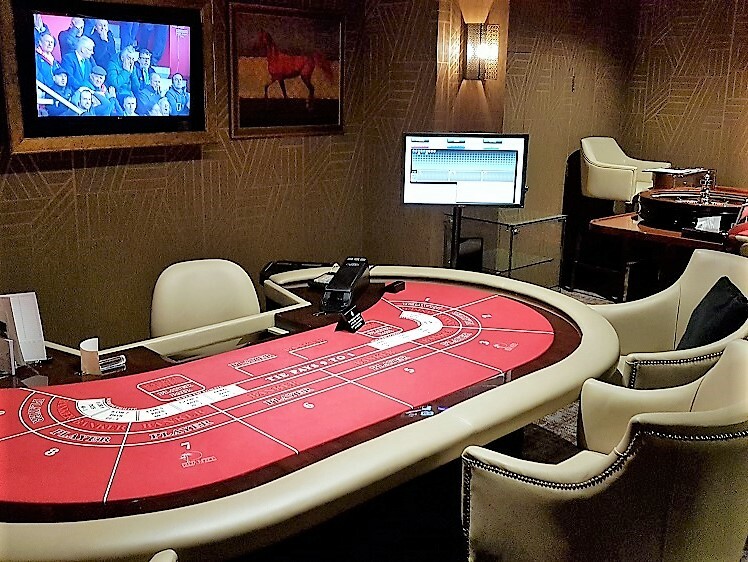 There are private areas and VIP rooms for high stakes gaming one-to-one or in small group games. The Palm Beach has a room devoted to poker which offers Texas Hold’em and Omaha games every day and once hosted a leg of the World Poker Tour. Now, from chips and stakes to steak and chips – where better to spend your winnings or soothe the pain of your losses than in the smart, new Art Deco restaurant with its white linen covered tables, velvet chairs and fine cut chandeliers? The menu reflects the expertise and passion for South Asian cuisine of the award-winning chef, Mahmud Zaman. His extensive menu takes you to various, exotic parts of the world; as well as Europe, dishes from the Middle East, India and China reflect the casino’s international clientele. Although the menu plays it safe with standard dishes from all these cuisines, the cooking really is absolutely excellent. 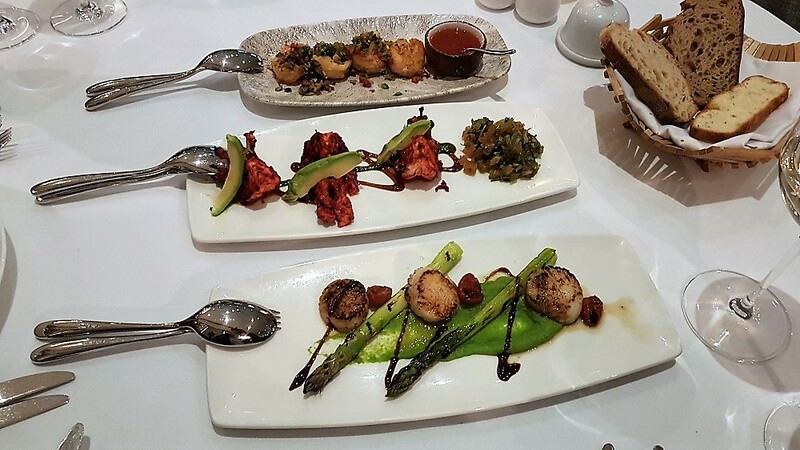 For seafood lovers like me, tempting starters include zingy salt and pepper prawns with sweet chilli sauce, the sweetest seared King Scallops with grilled asparagus and pea purée and smoky tandoori King Prawn with avocado, spicy tomato and tamarind sauce. Steaks come from master butcher Aubrey Allen and are dry-aged for 28 days. 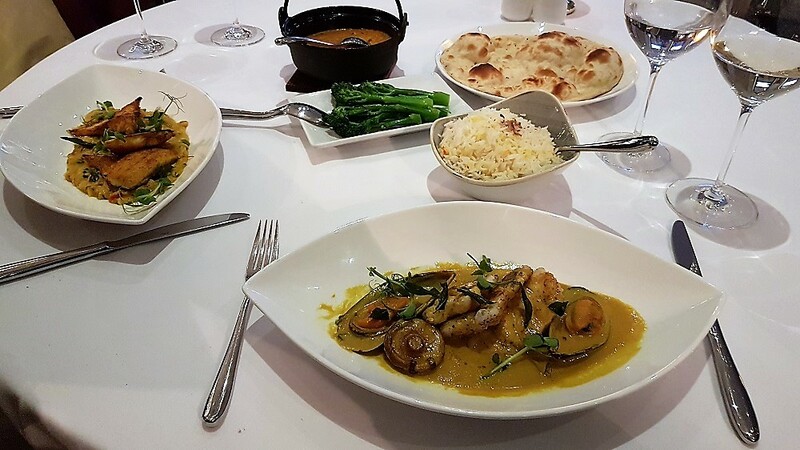 Fish dishes include classic Dover Sole or very tasty Pan-fried Monkfish (with mussels, shiitake mushrooms and a tamarind and coconut sauce) or the superb Masala roasted fish of the day (seabass with khichri and crispy onion). The wine list is like the menu, full of classics, mainly solid old European wines like Chablis or Pouilly Fumée, Chianti or Châteauneuf du Pape. 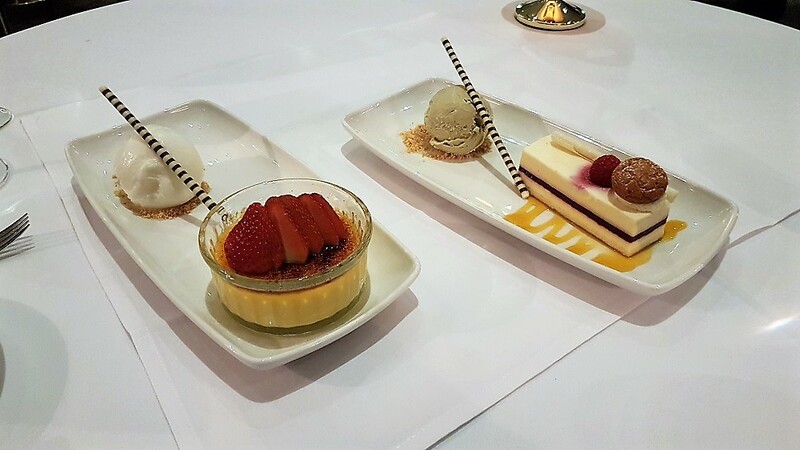 Desserts are a guaranteed treat – house favourites include coconut cème brûlée, superbly enhanced by refreshing lemon sorbet, and tiramisu. These are best washed down with a glass of sweet Moscato d’Asti, fresh mint tea or a double espresso. For those who do have a white dinner jackets or a low-cut gown, formal evening wear is fine but otherwise, dress code is smart casual, more casual than smart is OK, but no hats or trainers. The Palm Beach is more than a casino, it’s somewhere to go for a drink, an excellent dinner or even a dance. A very long-standing fixture on London’s gaming scene, it recently underwent a £2 million makeover which has only enhanced its reputation as one of London’s most prestigious places to play. 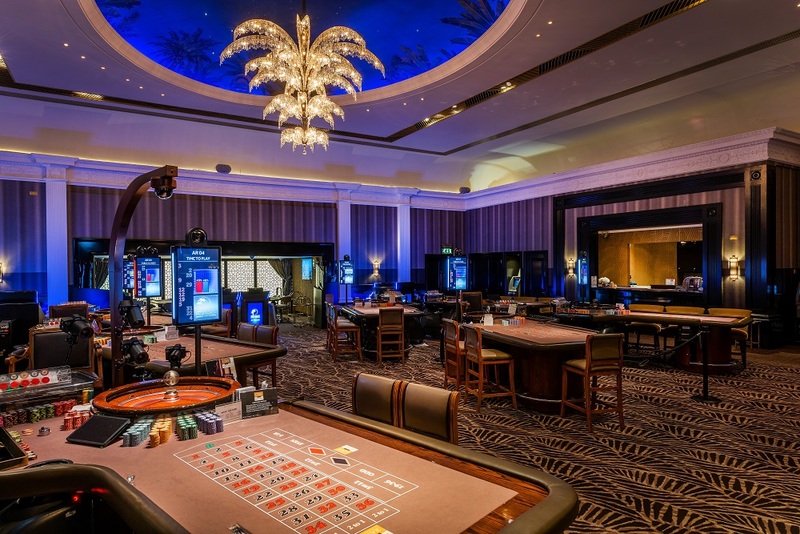 So, if you’re a bit tired of the usual pub/restaurant/cinema/theatre night-life options, the Palm Beach Casino should be on your radar. It has an easy, relaxed air with a great team of staff ready to make you feel at home, and is a good bet for a night of fun, whether you want to have a flutter or not.